Whilst it’s quite common for the classic car in the garage or the ‘weekend’ car to get lots of care and attention, the daily driver tends to get forgotten about. The workhorse of the family can simply expect its hay and water, rather than the hours of fuss the ‘cherished’ vehicle receives. Yet the daily driver would benefit enormously from a little care and attention and it would subsequently make it much easier to maintain as well as helping maintain its residual value! 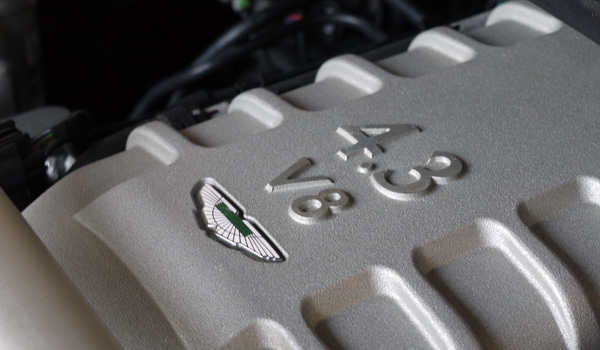 Some people may baulk at the idea of spending out on a protection treatment for the family run-around, but when the daily driver is an Aston Martin 4.3 Litre V8 Vantage it’s a very easy choice to look after it! Our customer claims that he “can’t afford to run a second car so has to drive the Aston every day”, but we know the truth is simply that he’s is absolutely passionate about his car! 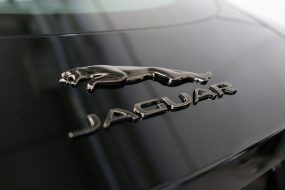 The new generation of Nano-Ceramic / Glass Coatings are the perfect antidote to the attrition of every-day driving. 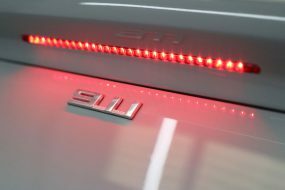 Each mile the car drives, bodywork is being subjected to acidic or alkaline solutions found in road grime, tar, attack from grit, bird droppings, even industrial contaminants in rain take their toll. 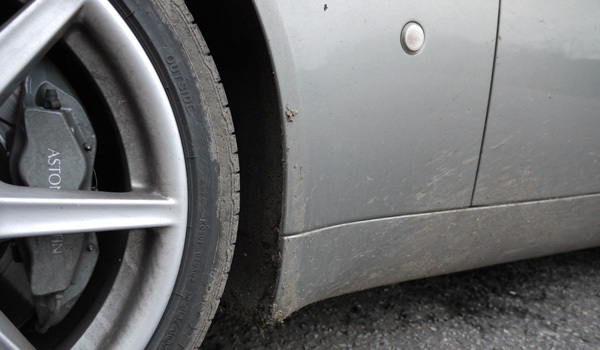 Wheels have an even tougher time with hot brake dust being added to the mix. This customer would be the first to admit his wheels have it tougher than most! These new coatings cure extremely hard to form a protective glass layer, providing a scratch resistant surface, shielding the paint underneath from the onslaught of environmental and industrial contaminants. This is invaluable protection particularly for cars driven daily. 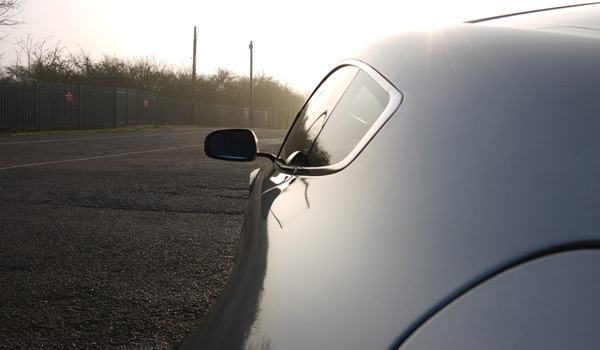 Once treated with a glass coating, vehicles become much easier to wash -dirt and oils don’t adhere to a treated surface in the way they do on an un-coated surface. 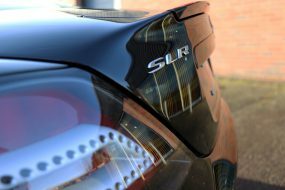 Cars treated with a glass coating means there is less likelihood of introducing scratches during the regular weekly wash and as an added benefit, the depth of shine it produces is nothing short of jaw dropping! 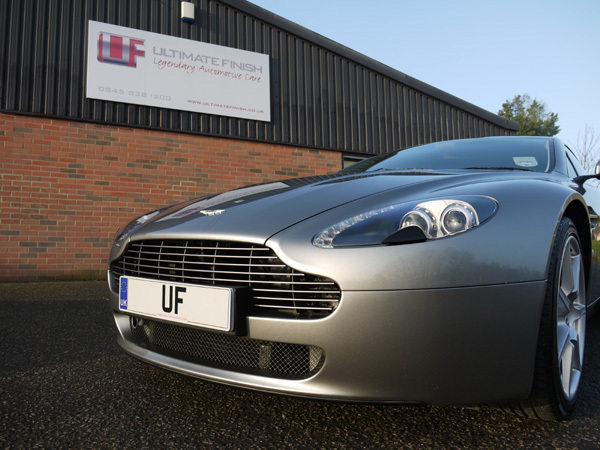 When the Vantage arrived at the Ultimate Detailing Studio it really was, without question, the dirtiest Aston Martin we’d seen! 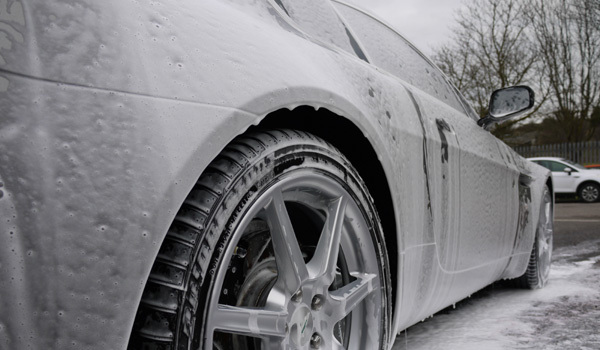 So the first order of the day was Ultimate Snow Foam, a premium, non-contact pre-wash cleaner used to remove excess dirt and grime from vehicle surfaces, limiting wash mitt contact with paintwork and thereby minimising risk of further scratching. As always, the key to a successful detail lies in the preparation. 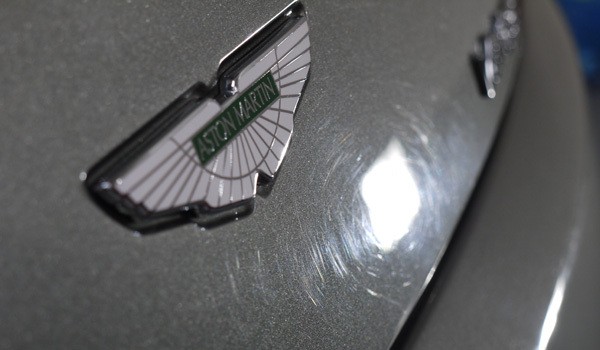 The Aston Martin was given a full wash using the two bucket method, Meguiar’s All Purpose Cleaner solution sprayed onto the door, boot and bonnet shuts to remove grime and grease. 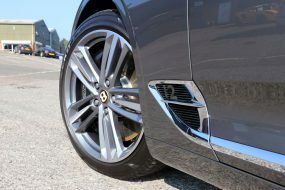 The alloy wheels were treated to Bilberry Wheel Cleaner before the whole car was rinsed with pure water from an Aqua Gleam De-Ionising Water Filter and carefully patted dry using super soft drying towels. With the cleaning part completed, it was easy to spot the swirl marks and damage, particularly when inspecting the paintwork using a 3M Sun Gun Colour Check Light. The most efficient and effective combination for removing paint defects is a machine polisher in the hands of a skilled detailer! A few hours with our Master Detailer, a FLEX PE14-2-150, some SCHOLL Concepts S3 Gold and a SCHOLL Concepts Orange Polishing Pad and the paintwork was truly transformed. 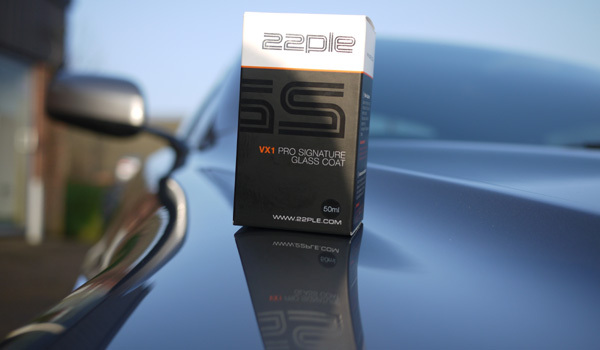 The Aston Martin, now looking much healthier, was ready for a couple layers of 22PLE VX1 Pro Signature Glass Coating applied 6 hours apart. The final result was absolutely stunning…. 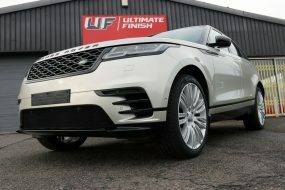 Ultimate Detailing Studio – Award Winning Detailing, call 0845 838 1200 to discuss your requirements and arrange a preliminary inspection.